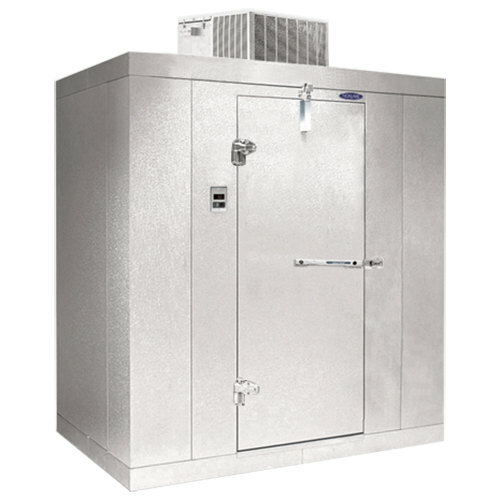 The Nor-Lake Kold Locker 6' x 14' x 6' 7" indoor walk-in cooler offers versatility and superior storage space all in one easy-to-assemble unit! The 1 hp, 208/230V cooling unit has a temperature range of 35 to 38 degrees Fahrenheit. The self-contained Capsule Pak installs easily and uses R-404A refrigerant. 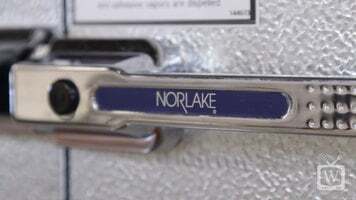 The panels on the Nor-Lake Kold Locker indoor walk-in cooler are made of coated 26 gauge corrosion-resistant embossed galvanized steel. The panels are insulated with 4" thick CFC-free HFC polyurethane to maintain consistent temperatures. 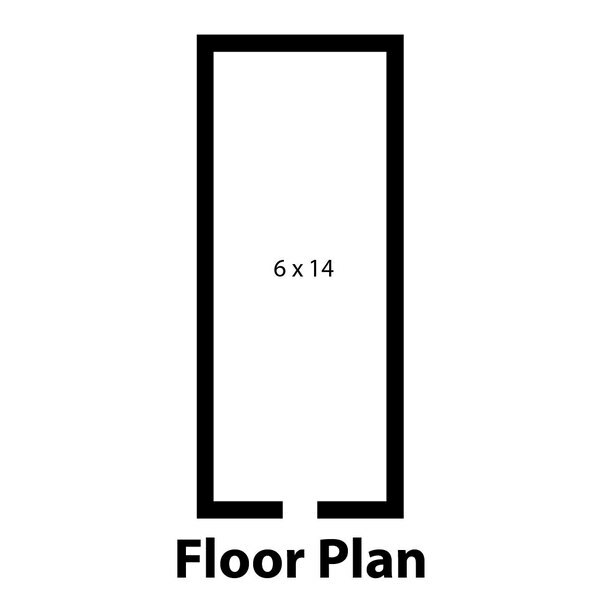 An aluminum floor seals the structure and provides a durable surface for storage.